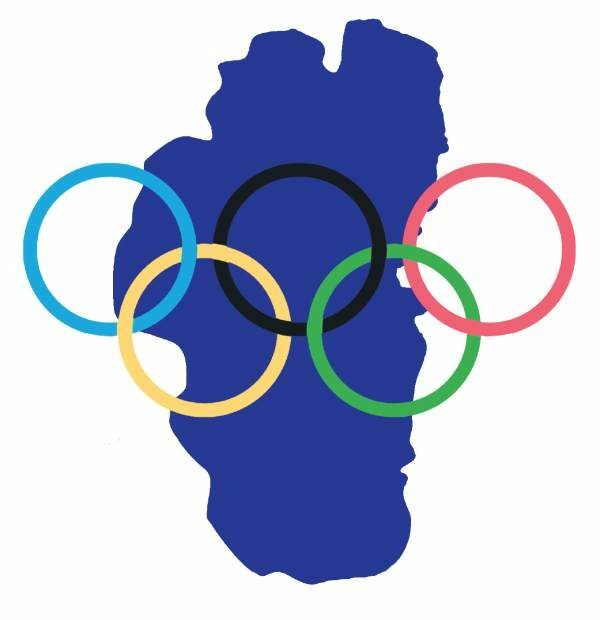 Nearly 60 years have passed since Tahoe hosted the Winter Olympics — a legacy that a dedicated team of believers hopes will play to the region’s advantage in landing a future games. Should the United State Olympic Committee look for a city to host in 2026 and beyond, that team of believers, formally known as the Reno Tahoe Winter Games Coalition, stands ready. The USOC hasn’t come calling, but the local coalition says it is in regular communication with the Committee as well as the International Olympic Committee. Reno-Tahoe is one of three U.S. regions mentioned as possible contenders for a future Winter Olympics along with Denver and Salt Lake City. Which, if any, of those destinations comes out on top will involve a slew of factors, such as environment, infrastructure, a plan to sustain venues and repurpose them, hotels and accommodations, security, airport, transportation, highway access and the people to support it. Brian Krolicki, Reno Tahoe Winter Games Coalition chairman and former Nevada lieutenant governor, feels the region can check each one of those off the list. Lake Tahoe, by many accounts, is an elite destination. It has world-class skiing and snowboarding. Several athletes from the basin, and just beyond, make Team USA every four years — and win gold medals. South Shore residents Maddie Bowman and Jamie Anderson and Reno’s David Wise all brought home gold from the most recent 2014 games in Sochi, Russia. Snowboard halfpiper Hannah Teter brought gold back to South Shore after the 2006 games in Torino, Italy. The Reno-Tahoe region breeds winter champions. 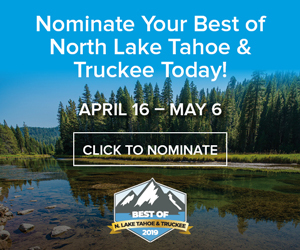 “I think we fancy ourselves as elite, particularly when it comes to outdoor recreation and that lifestyle,” said Carol Chaplin, president and CEO of the Lake Tahoe Visitor’s Authority. When Squaw Valley hosted the Winter Olympics in 1960, the entire games were hosted locally. Since then, the Olympics have grown significantly. There were 17 medal events in 1960. In 2014, there were 98 events over 15 disciplines in seven sports. The growth of the games means it now takes an entire region to pull off a successful event. The Reno-Tahoe region does have some advantages. A 2010-11 survey conducted by the Reno Tahoe Winter Games Coalition found that the region has more hotel availability than Salt Lake City did in 2002. With Squaw Valley hosting the 1960 games, Lake Tahoe has the second longest Winter Olympic legacy in the U.S. next to Lake Placid, New York, which hosted in 1932 and 1980. Despite that remark, Cushing’s success and the success of the games left an mark on the region. However, Tahoe is not the only potential future host with history. Denver and Salt Lake City both have Olympic legacies — some good, some bad and maybe a little ugly. After being awarded the rings, Salt Lake City was rocked by scandal — including charges of bribery, fraud and racketeering. It ultimately did pull off a successful event and turned a profit that was used to help maintain the facilities, which could work in the city’s favor this time around if the USOC asks for bids. 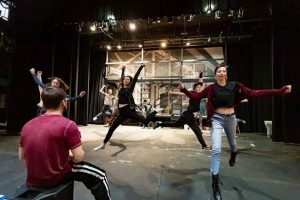 “Salt Lake City spent millions and made hundreds of millions that they used to maintain their current facilities and donate to charity among other things,” Krolicki noted. Denver went through the work of winning the bid in 1970 for the 1976 Olympic Games, but gave back the rings to the IOC two years later following a state referendum that prohibited public economic support. The IOC scrambled to replace Denver on short notice and chose Innsbruck, Austria, which hosted the games in 1964 and still had the facilities. Not having established facilities could be a factor fighting against a Reno-Tahoe bid. Salt Lake City still has venues in use since hosting in 2002. The facilities still must be upgraded but probably at a far smaller cost than to build from the ground up. Salt Lake City showed it could host and has that experience while the Reno-Tahoe coalition is trying to prove that it can handle top-level events. The coalition is hosting the men’s Curling World Championships at the end of March in Las Vegas. It will host the National Junior Olympics running races in Reno later in the year. A women’s World Cup ski-racing circuit event was held last year at Squaw Valley for the first time in almost 50 years. And Vail Resorts-owned properties are hosting a pair of major freestyle events. “It all helps to build credibility that we can handle world-class events and eventually handle the Olympics,” Killoran said. Wherever the Winter Olympics are held, cost is a major factor. 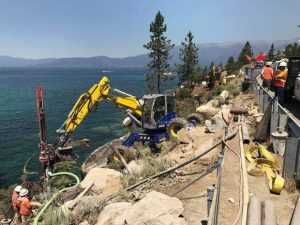 One thing is sure, the Reno Tahoe coalition won’t be interested in any Olympic bid if they can’t make money for the region and do it in a manner that is environmentally responsible. “We want to stress that we would not do it unless we could do it environmentally sound and it was profitable,” Krolicki said, adding that it is hard to quantify how much the games would cost. Multiple structures would be needed, including a sliding track for bobsled, luge and skeleton, a ski jump area and ice for hockey, speed skating and figure skating. New structures for the ice events would be focused off the hill, likely Reno, Killoran said. The needs of the games, though, could offer an opportunity for infrastructure improvements, such as transportation, which will be needed for shuttling spectators. The USOC has a March 31 declaration deadline to name a host city if it feels it wants to pursue the 2026 Games. The USOC has said in multiple reports that it is interested in the 2030 games but hasn’t committed to 2026. But the local coalition has a hunch that two Winter Olympics might be awarded at the same time after the IOC awarded Paris and Los Angeles the summer games for 2024 and 2028, respectively. The Associated Press reported in October that the IOC’s perfect candidate city would be the one that best aligns with Agenda 2020, a new strategic roadmap for future Olympics that calls for less billion-dollar projects and has more venues in place. It also reduces the bidding costs by decreasing the number of presentations, and the USOC will provide significant contributions. Locally, there is a sense of optimism about future chances. The 2026 games, officially known as the XXV Olympic Winter Games, will be awarded in September 2019 at the 134th IOC session in Milan, Italy.